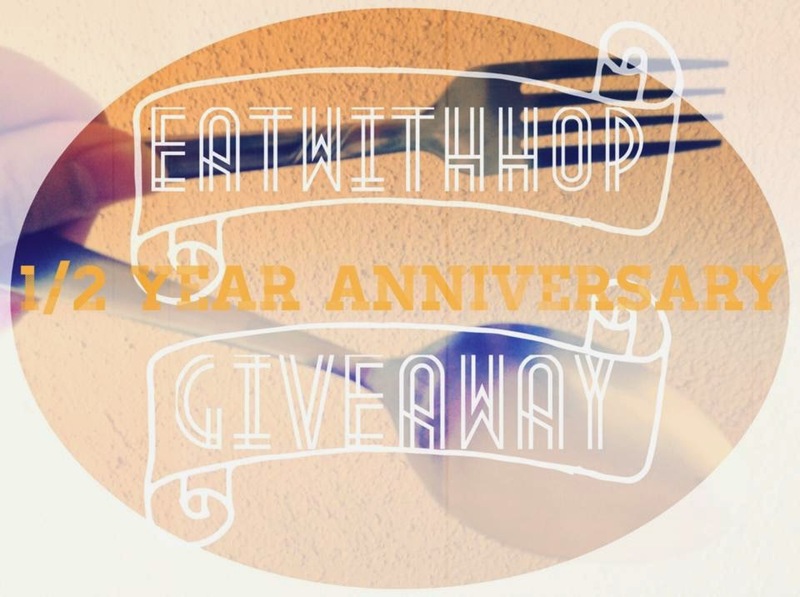 HAPPY HALF YEAR ANNIVERSARY @ EATWITHHOP ! - EAT WITH HOP! 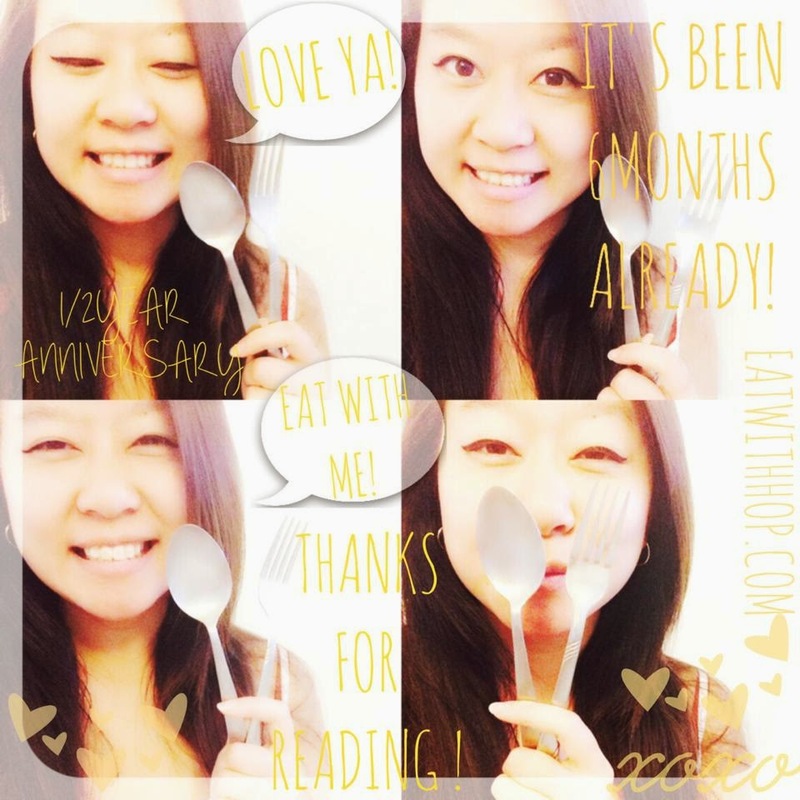 Home / DIARIES / HAPPY HALF YEAR ANNIVERSARY @ EATWITHHOP ! ALRIGHT! IT'S GIVEAWAY TIME! SO I WOULD LIKE TO "GIVE-AWAY" THANKS TO ALL THE REATERS OUT THERE! IT DOESN'T MATTER IF Y'ALL HAVE BEEN ON MY PAGE MANY TIMES, A FEW TIMES, OR EVEN JUST ONCE! 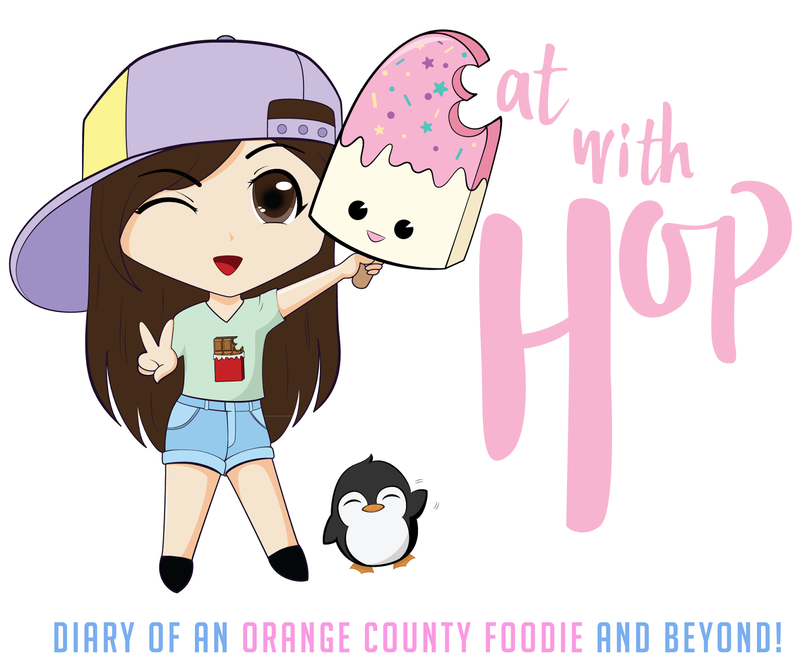 I REALLY APPRECIATE ANYONE TAKING SOME TIME TO VIEW MY FOODIE DIARY! THIS DIARY WAS BORN ON MARCH 18, 2014 AND TODAY IS SEPTEMBER 18, 2014. SO IF I'VE DONE MY MATH CORRECTLY... IT'S THE 6TH MONTH ANNIVERSARY! HURRAY! MY DIARY IS MEANT TO SHARE MY AWESOME FOODIE ADVENTURES AS WELL AS TRAVEL ADVENTURES WITH EVERYONE AND IS STILL DEFINITELY A WORK IN PROGRESS. I DO IT BECAUSE I LOVE DOING IT! HAVE YOU EVER NOTICED SOME PEOPLE LIKE TO SHOW OFF THINGS BUT DON'T LIKE TO SHARE WHERE THEY GOT IT FROM? WELL I'M TOTALLY NOT LIKE THAT! I WANT TO SHARE MY KNOWLEDGE AND EXPERIENCE TO EVERYONE SO Y'ALL CAN ENJOY WHATEVER YOU'RE INTERESTED IN TOO! AND THAT IS PRETTY MUCH ONE OF THE PURPOSES OF THIS BLOG! I ALSO PLAN TO EXPAND THIS BLOG (AND HEAVILY UPDATE IT WITH MORE POSTS BECAUSE I'VE BEEN KIIIINDA LAZY) TO INCLUDE MORE "TOUR GUIDE" LIKE POSTS FOR MY FRIENDS ABROAD IN THEIR LANGUAGE. NOW THIS IS GONNA TAKE SOME TIME SO I HAVE BEEN LAGGING A BIT BUT ONCE I ACCOMPLISH IT I THINK IT'LL BE VERY SATISFYING. AND MAYBE IT WILL HELP ME TO BECOME A TOUR GUIDE OR SOME SORT SOME DAY? A TOUR COORDINATOR... ?! I HAVE NO IDEA. BUT I HOPE TO SOMEDAY USE THIS BLOG AS PROOF OF WHAT I'M CAPABLE OF TO OTHERS. I'D ALSO LIKE TO NOTE HOW CRAZY AND ECSTATIC I WAS WHEN I FOUND OUT THAT I MADE IT TO THE TOP 5 NOMINEES TO BE ON THE OC WEEKLY'S BEST BLOG 2014. REMEMBER TO VOTE FOR ME HERE http://readerschoice.ocweekly.com/ BY 9/25! ON TOP OF THAT, MY MOST POPULAR POST EVER IN THE HISTORY OF EATWITHHOP IS ABOUT CLASS 302'S ALL YOU CAN FIT IN THE CUP BOBA JOINT. I REMEMBER THE DAY I POSTED IT, IT SUDDENLY BLEW UP IN VIEWS. MY TRACKER REVEALED THAT I WAS GETTING VIEWS FOR THAT POST PRACTICALLY EVERY FEW SECONDS. WOW. THANKS TO ALL OF YOU THAT SHARED THAT POST AND HELPED ME GET EXPOSURE! I'M SORRY IF I MISLEAD Y'ALL WITH THE "GIVEAWAY" TITLE! HOPEFULLY SOMEDAY I'LL BE ABLE TO ACTUALLY DO GIVEAWAYS OF THINGS BUT FOR NOW,WHAT I REALLY WANT TO DO IS "GIVE-AWAY" MY THANKS AND GRATITUDE TO ALL OF MY WONDERFUL REATERS! MAKE YOUR OWN POTTED PLANT ICE CREAM! BEST BANH CUON EVER EVER!